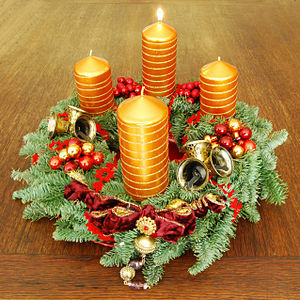 And so we enter into the season of Advent. We lit the candle in our church service and our pastor explained that this season is about waiting. Waiting for the coming of Christ. We symbolically express that through our congregational singing and the choir singing songs like “The Yearning” so picturesque and beautiful. I do not like to wait. And yet I have spent most of my life doing just that. It started back when I was a little girl. The waiting for Christmas to open gifts, the waiting for birthdays and other special events. Time seemed to take forever back then. As I got older I realized that things did not always happen the way we thought they should – and many things took a lot of time, patience and endurance to just wait. When I first met Greg – it was the end of our freshman year in college. Shortly after we met he had to return to Alaska, where he was from – to work in the summer months. It was four months back before cell phones and internet which keeps people connected day and night – no matter where you are in the world. Waiting then seemed like four years instead of months. When we became engaged the next year – it seemed like so long until our wedding – just 5 months later. But it finally came. Then the next was waiting for college graduation and then a job that would take us to Alaska and then Pennsylvania. The next big “wait” was when we wanted a baby – and it didn’t happen very fast. Both times! Then when it finally did – there was the waiting for the baby to just get here! After that – it’s waiting for the babies to grow up from the toddler and diaper stage, then the young children stage and then the teenager stage with all the drama – to where they finally become independent responsible adults. They finally did this. In time. Our children were very much worth the wait. And we learned to love every stage of their development – though it wasn’t always easy to wait it out. But we appreciated them so much more because of all the long waiting. Last year I had to “wait” again. I have wanted a Bichon puppy for years – we found a breeder out of town and waited for our puppy to be old enough to bring home. But after waiting – my first puppy and the whole litter died at 5 weeks of age from a routine anti-worming medication. So we began the wait again – another 6 weeks. I’m happy to say that we got the right puppy – but the waiting was hard. Life is a series of waiting – events – waiting again – events and then more waiting. I thought I would be done waiting when I became an adult. There seems to still be a lot of waiting. Waiting for the fulfillment of a dream. Waiting on God’s timing for a much-needed reconciliation with a friend. Waiting on a family situation. Waiting for direction. Waiting, waiting, WAITING!!! WHY DOES IT HAVE TO TAKE SO LONG??? God’s promises are always fulfilled – in HIS time. Sometimes I would like to know what that time is – other times I just have to trust and know that He is working all things out – behind the scenes. And sometimes I believe that this waiting is His idea for me. It is in the “waiting” that we are still, focused and intense. If we don’t give up – keep believing and stay positive – using that waiting to develop good things like tolerance and patience. Here is a great song by Michael W. Smith – it is perfect in this season of Advent. This season of the long wait. Last night Greg and I had the privilege to see a dramatic presentation of the last few hours of Jesus’ life here on earth. 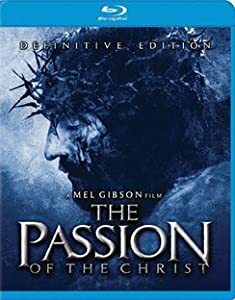 It is always difficult for me to see it played out, with all the betrayal, hypocrisy and cruelty – and I must admit, watching “The Passion Of The Christ” a few years back was a very hard movie to watch. It forces me to face the bloody slaughter of an innocent man – at the hands of the Roman guards, notorious for their torture and brutality. It forces me to come to grips with the fact that there was nothing about it pleasant, easy, or inviting. I want to run away – put my hands over my ears to stop the chanting and mocking. Like you, I want to think of pleasant things surrounding Easter weekend, not betrayal, blood, torture and death. I want that cross to somehow be neater, cleaner, more civilized, more cultured, more dignified and easy to watch. But I realize that it is in that brutality, pain, torture and blood shed – that my freedom was bought – and there was no other way. And I must accept this in faith, as I don’t really understand it. Why did it have to happen this way? Isn’t God, God? Can’t He just snap His fingers and take sin away? Why the cross? What is the back story that no one knows? Why this complicated process to bring us back into right relationship with God? I don’t know. I’ve had many explain it – theorize it – surmise from scripture – but it still leaves me wondering about the great mystery of God’s love. Our ticket into eternal life. If we accept it – just as it is – the mystery, the blood, the gore, the torture, the betrayal, the mocking, the shame, the agony – all of it. And though I do not understand it – I accept it by faith. And am eternally grateful. The song below was playing the morning after I first saw “The Passion Of The Christ” in the theater. I will never forget how it made me stop in my tracks and reflect – and I knew I would never again look at the crucifixion of Christ in the same way again. May you too, discover the mystery and wonder of God’s great love this Easter. I have had this great a cappella piece of music on my Spotify list for months now and every time it plays I stop what I’m doing in awed and reverenced silence. I have sung in choirs before where this was a featured song, and everyone loved singing it. It is breathtaking when it is done right. I looked until I found just the right group of singers to post it for you – and found to my great pleasure, a men’s choir from St. Paul’s Cathedral with men of all ages, from little boys with soprano voices to grown men who sing deep bass. What is most impressive about this group of singers is that they do not care how silly they look when they sing. They are quite mesmerized in their music – and the result is a beautiful blending of voices. The diction is so clear and distinct – I can hear every word ending, even from the smaller boys. It is sung in a cathedral with high ceilings and AWESOME acoustics and so the result is a rich and velvety tone like bells ringing and stopping in mid-air. The true voice of heavenly angels. The last couple of chords at the end of the piece are stunning and perfectly in tune – as they reach the climactic high point creating a feeling of well-being in those of us who have an appreciation for good music. Watch it all the way through and you’ll see what I mean. The little boys especially are wonderful to watch.